TME’s offer includes the most popular series of quartz resonators from SR PASSIVES. 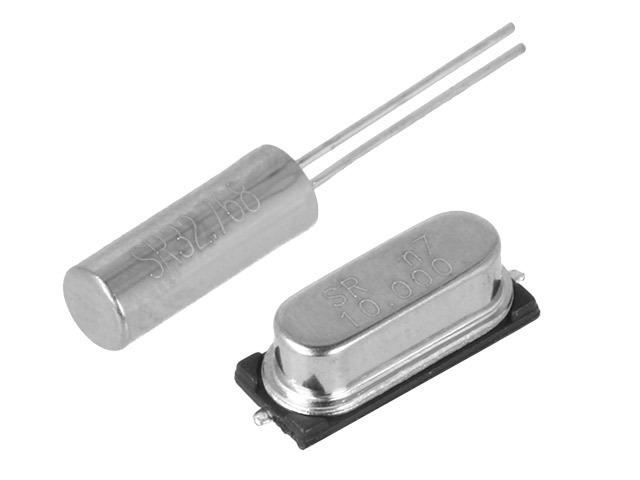 The resonators are available in packages for both THT and SMD mount. They offer good technical parameters and are optimised for mass production. The standard height of the resonators in HC49/S packages is 3.5mm, which is only 1/4 of the height of the previously used HC-49/U package. What’s more, they are fully hermetic. Check out the quartz resonators from SR PASSIVES available at TME.